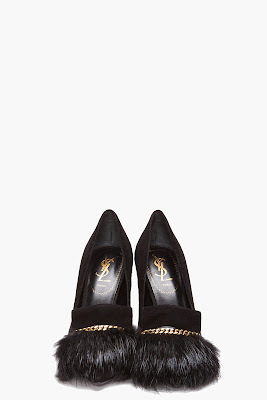 Suede heels in black. Concealed pointed toe. Fold_over tongue. Fur detail and gold tone linked chain detail at toe. Tone on tone stitching. Approx. 4 heel.